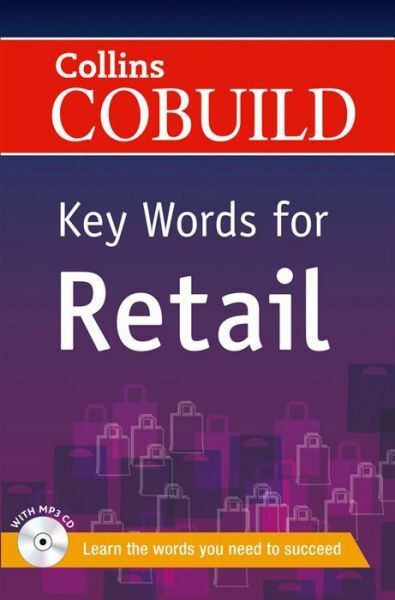 Collins Co-build Key Words for Retail is a brand new vocabulary book aimed at anyone who wants to study or work in the retail industry. The title contains the 500 most important words and phrases you will need to succeed and includes practice material to make sure you really learn them. This title has been specially created for foreign learners of English who want to improve their career prospects in retail by learning English. The title covers the most common words found in this area, and will give learners a solid grounding in the key words and phrases that they will need as they start their studies or career in the retail industry. Collins Co-build Key Words for Retail is unique in that the vocabulary items are organized alphabetically, in a dictionary style, and words are clearly labelled according to topic.